Arnold Brinkley, 76, passed away March 27, 2017. He was born August 4th, 1940. He was a Christian believer. He enjoyed fishing and time spent with his family. He was preceded in death by his parents Richard and Audie Brinkley. 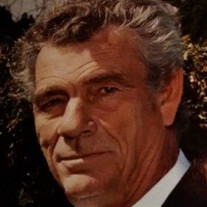 He is survived by his wife Donna Kay Brinkley; nine children: Bob Brinkley, Kenny Brinkley, David Brinkley, David Dalerio, Mario Dalerio, Richard Brinkley, Stephen Brinkley, Pam Dossett, and Stacey Brashers; one brother Donnie Brinkley; one sister Sharon Posey; 15 grandchildren; and two great-grandchildren. A memorial service is scheduled for Saturday, April 1st at 11 AM at the Lake Charles Pavilion.